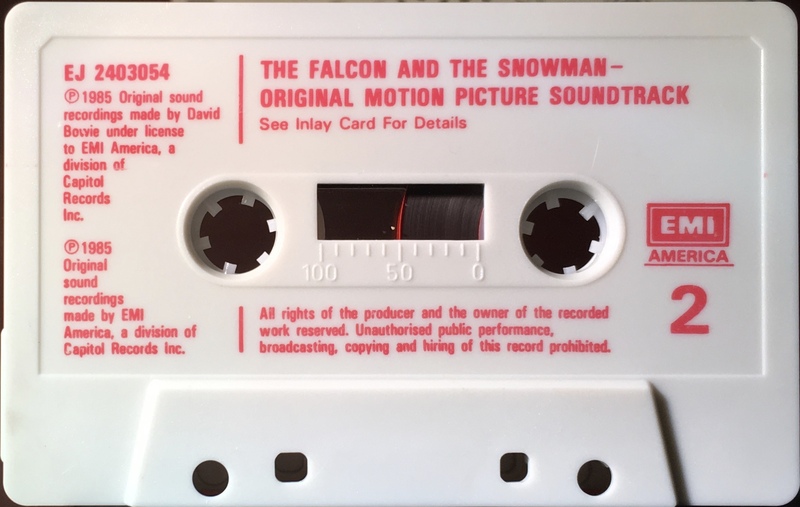 The Falcon And The Snowman: UK; EMI America, TC-FAL 1/ EJ 24 0305 4; 1985. Full picture cover with black lower portion with all blue spine and rear half-panel on thick, treated paper. Track list on rear half-panel and inner panel. ‘EMI Records Ltd, Hayes , Middlesex..’ on inside panel. ‘XDR’ and movie information on inside panels. Red ink printed directly to grey shell with track list. Catalogue number EJ 2403054 on shell. 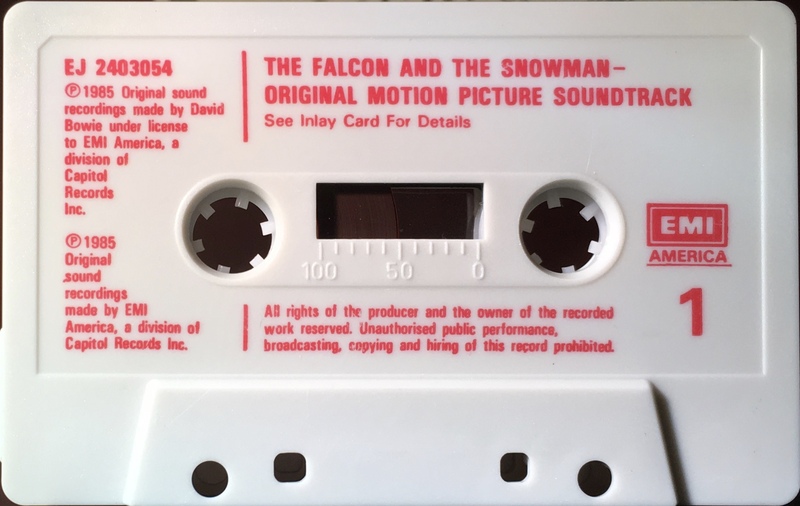 Red lead-in tape. David Bowie performs on one track: ‘This Is Not America’ (3:51) on Side 2.